Texas Rangers Pitch Two-Foot Hot Dog... But Will Fans Relish It? The Texas Rangers baseball organization has created a two-foot-long hot dog, topped with shredded cheese, chili, and sauteed onions that’s served on a bun made of “exotic bread flown in from France.” It will be called both the “Champion Dog” and “The Broomstick” and will sell for $26. Vendors say it’s meant to feed three or four fans. - It sounds like it was designed by and for men who are going through a mid-life crisis. - Baseball is going to Hell in a handbasket! Now even the hot dogs are on steroids! - They were going to sell it for ten dollars more, but fans said it didn’t cut the mustard. 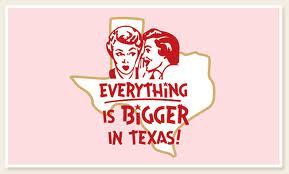 - Of course people in Texas would think the bread was “exotic” if it was flown in from Arkansas.